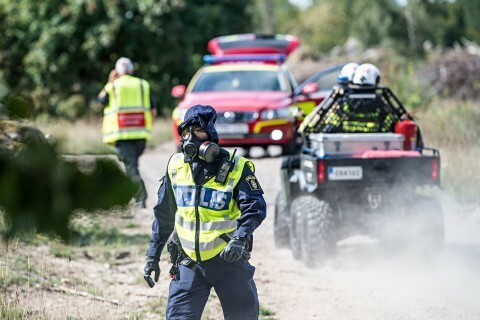 Sweden’s Armed Forces said one of its Saab JAS 39C Gripen jets crashed eight kilometers north of Ronneby in the Blekinge region after a bird strike at around 1,000 meters in the air. 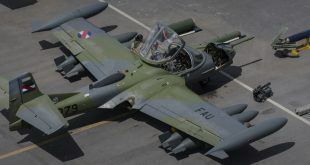 The pilot aborted the landing he was attempting and ejected, said Col. Lars Bergstrom, head of the Blekinge Air Force Wing near Ronneby in southern Sweden. “The pilot bailed out and he has apparently waved at the rescue helicopter and he seems to be okay at least. We don’t know much more at the moment,” spokesperson Johan Lundberg told the TT news agency. The collision occurred at about 9.45 a.m. (0745 GMT) north of Ronneby, near Karlskrona – 160 kilometers east of Malmo, Sweden’s third largest city. Police and emergency personnel at the accident site.